A panic attack is an extremely frightening experience because it causes a person to lose all control. The fear is compounded by the attack’s similarity to potentially fatal conditions such as heart attack, strokeand seizure.Almost anybody can have a panic attack, but for the average person, it's a rare occurrence. The attacks usually occur in a very stressful situation, such as a combat or an accident. Unfortunately, there are some people that suffer from a condition called panic disorder in which such attacks occur for no reason on a regular basis. How Can I Tell If I Am Having a Panic Attack? The most likely cause of panic attacks is genetic: scientists believe that a “fight or flight” response to danger is hard-wired into the human brain. Panic attacks occur when the fight or flight instinct activates for no apparent reason. The research also shows that there are risk factors that make some people more susceptible to panic attacks. Use of recreational drugs such as cocaine or methamphetamines. Breathing exercises are the most effective means of dealing with panic attacks because they counteract the hyperventilation. Hyperventilation creates excessive levels of carbon dioxide in the body, which causes many of the panic attack symptoms. The best breathing exercise is the 5-2-5 count. Pull in the stomach and inhale for 5 seconds, then hold your breath for 2 seconds, then slowly exhale for 5 seconds. Repeat twice then breathe normally for 5 seconds. The key point is to focus on your breath. This method is more effective than the old remedy of breathing into a paper bag. 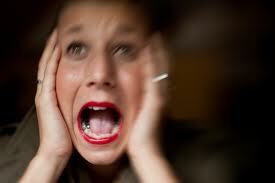 Psychotherapy also referred to as talk or behavior therapy can help you understand and deal with panic attacks. To succeed you will need to seek out a professional therapist who will go over the attack with you and help you recreate the symptoms. It will usually take several months to find out the causes of your panic attacks. At first, you may have to meet your therapies every week in order to get relief and improvement. As your symptoms ease, you can reduce the frequency and just keep occasional follow-up checks to make sure your panic attacks is still under control. Selective serotonin reuptake inhibitors (SSRIs) such as Prozac or Paxil. These antidepressants are the most common drugs prescribed for panic attacks. Serotonin and norepinephrine reuptake inhibitors (SNRIs), another class of drugs approved by the U.S. Food & Drug Administration (FDA) for panic attack treatment. Benzodiazepines are mild sedatives that are only prescribed or used in extreme panic attack situations because they can be addictive. Warning: If these medications fail to solve the problem, you doctor may prescribe other medications for you. You should take these drugs in accordance with the doctor’s instructions and be patient because it can often take several weeks to see an improvement. These medications all have some kind of side effects, so make sure you tell the doctor about your health conditions of any illness or pregnancy to reduce risks and get the best results. Get plenty of sleep: Lack of sleep makes a person more susceptible to stress and anxiety; a healthy adult needs at least eight hours of sleep every night. Exercise. Regular aerobic activity such as walking, running, or swimming can calm a person down and reduce the effects of panic attacks. Manage your stress. Stress management techniques such as yoga, meditation, deep breathing and muscle relaxation can calm you down and help you feel better. Avoid triggers of panic attacks. Alcohol, illegal drugsand caffeinated beverages such as coffee, colas and energy drinks can trigger panic attacks. Stimulants such as nicotine and sugar could do the same. Stop smoking, drinking and using drugs; and eat a healthy diet help reduce panic attacks. Support groups: If you have panic attack issues, support groups can provide support, experience and suggestions to help you coping with it. Your therapist can connect you with one. Seek professional treatment and stick to it. Panic attack is a medical problem that requires professional and medical care.